I’m a bit of an expert when it comes to the kids’ table. Even though I was the oldest, I always found myself at the kids’ table up through my teenage years. As a young adult, I felt most at home at the kids’ table. As an official adult, I have so many kids that I usually wind up at or near the kids; table just so that I can keep an eye on them. Since becoming a mom, I’ve realized that the kids’ table should be a bit more than simply the place where the kids eat. Especially when friends or extended family are present, my kids tend to devour their food in a flash so that they can play. Does this sound familiar? By putting a bit more effort into the kids’ table, I’ve found that they linger longer at the table, giving adults more peaceful time for which to eat. 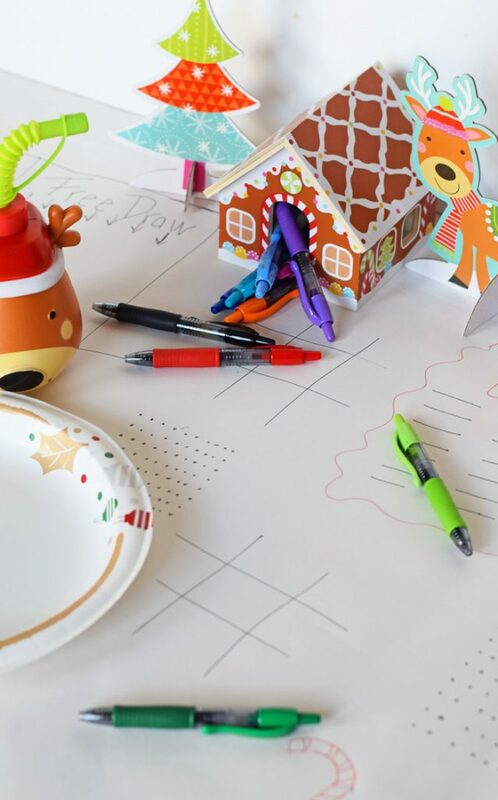 One easy and inexpensive way to create a fun kids’ table is with a DIY Holiday Kid’s Activity Table Cloth. I am definitely no artist when it comes to free hand drawing, but even I can swing this activity table cloth. 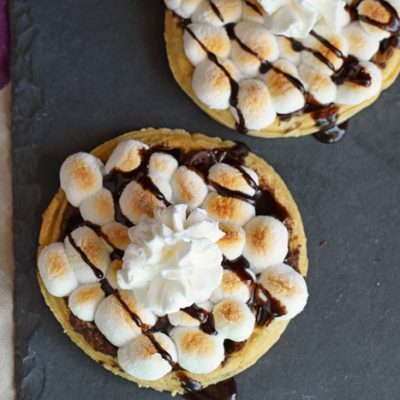 It gives the kids seated activity opportunities while serving as a table covering. The Target Cartwheel App is one of my favorite ways to save at Target, and from 11/30 to 12/31, get 15% off any G2 Gel Ink Pen. Hover over the image below to shop for and personally purchase G2® Pens by Pilot Pen at Target. 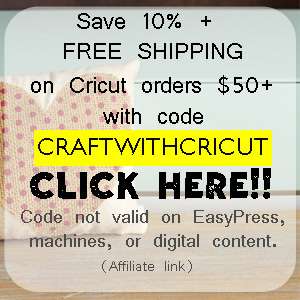 Roll out the kraft paper to the length of the table. Cut the paper. 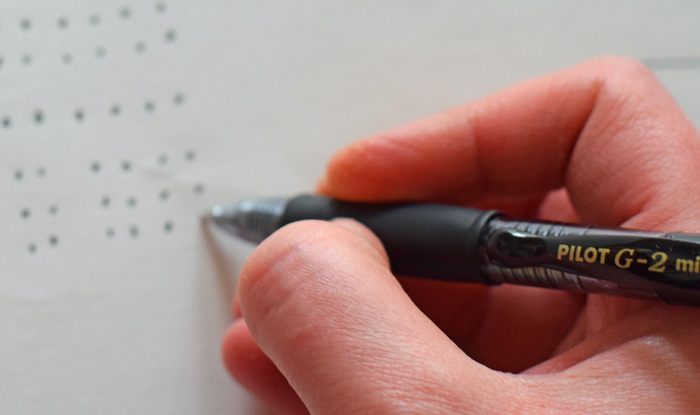 Depending on the width of the table, one length of paper may not be enough to cover it. If it is not, roll out another length of paper to match the first. Cut the paper. 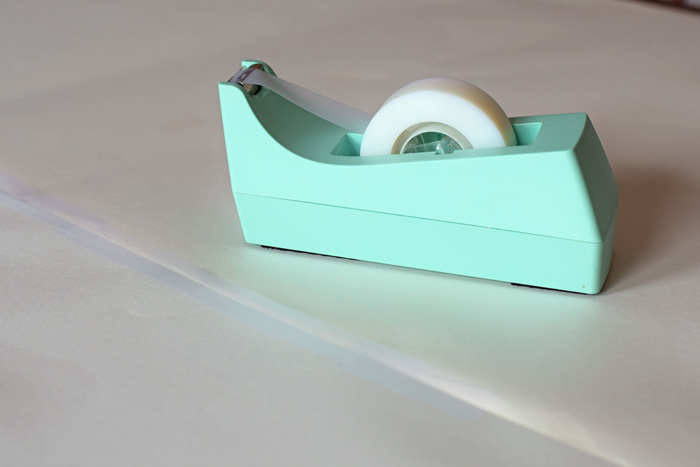 Overlap the two pieces and tape to adhere. Now comes the fun part! 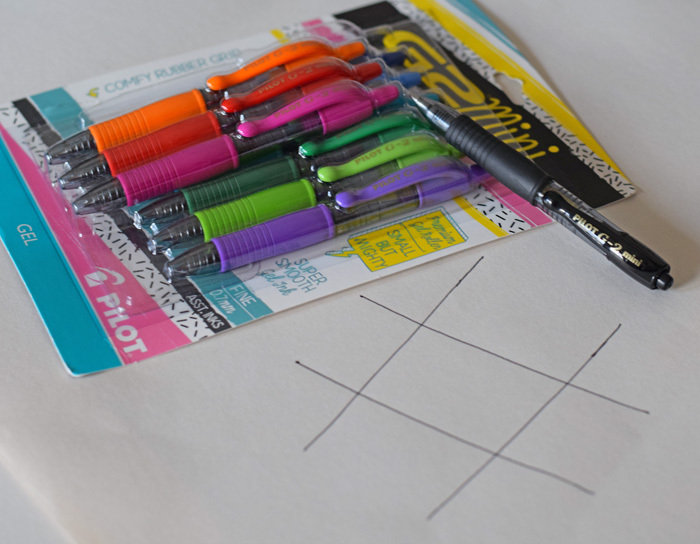 Use the 10 count G2® Mini Assorted Pens by Pilot Pen to create different activities all over the paper. Enlist the older kids or teenagers to help with this step. 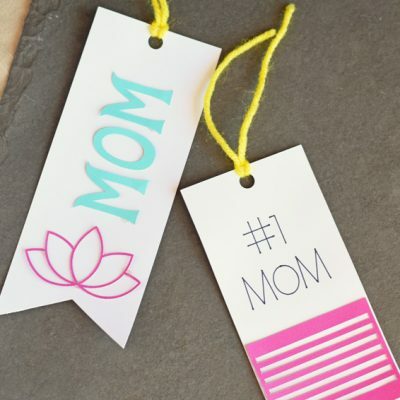 The G2® Pens by Pilot Pen have smooth writing gel ink, perfect for this DIY project! 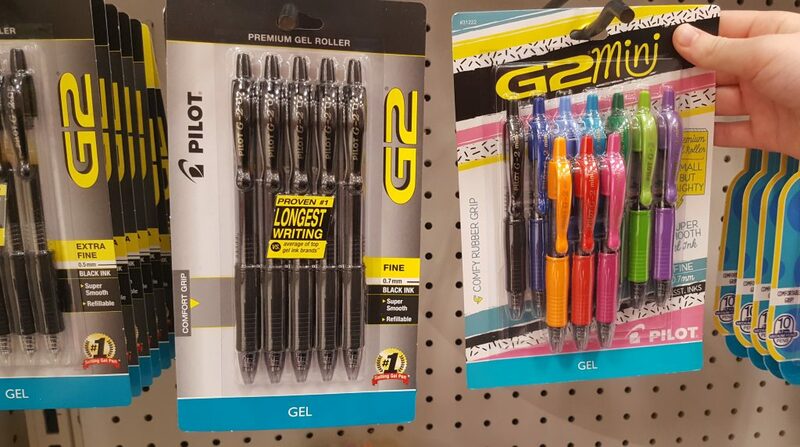 G2® is the number 1 selling gel pen in the U.S., and they are handy to have around during the holidays. 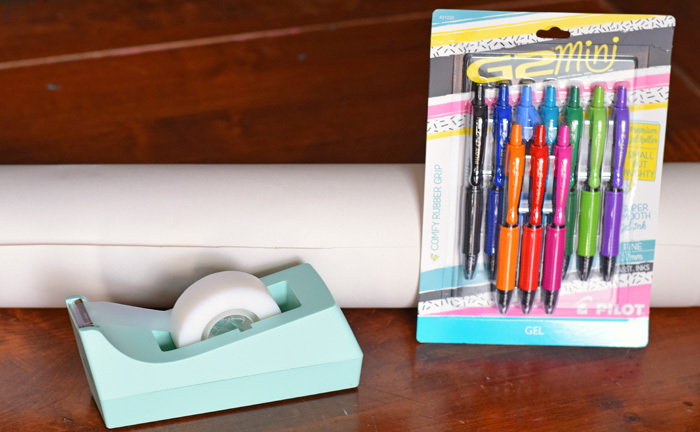 From gift tags to holiday cards to fun DIYs, G2® Pens by Pilot Pen help with the holiday season. 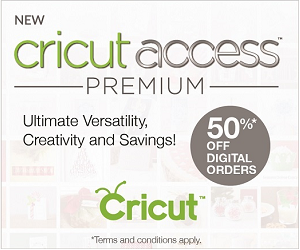 I purchased mine at my local Target store in the office supply pen aisle. When creating this activity cloth, I always start with several tic-tac-toe spaces. My kids can’t get enough of tic-tac-toe. I include many of these all over the paper. Word games- “How many words can you make out of the word Christmas?” or something similar are popular options. Hand letter the question and include lines under it for the children to write their words. 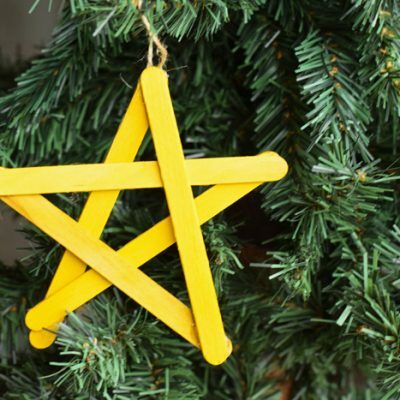 Simple sketches for them to color- A candy cane or star are easy shapes to draw that kids can color. Free draw- Leave lots of room for the kids to free draw their own holiday sketches. 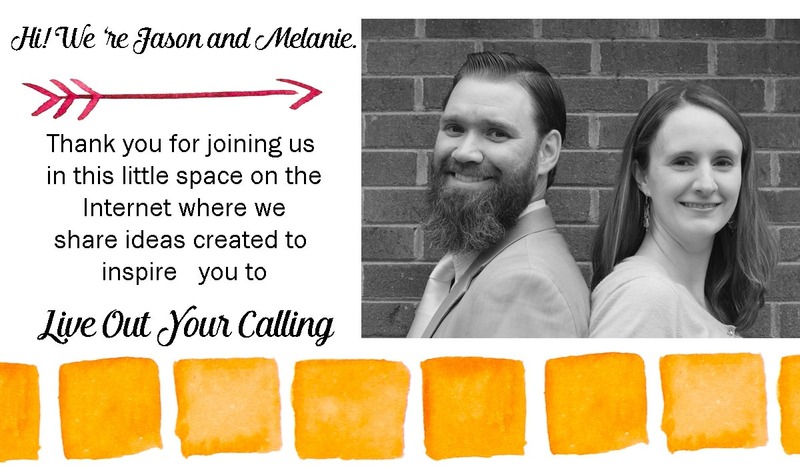 For some of the spaces, include a drawing prompt. Christmas list- This can be a place for kids to write their Santa Christmas list. 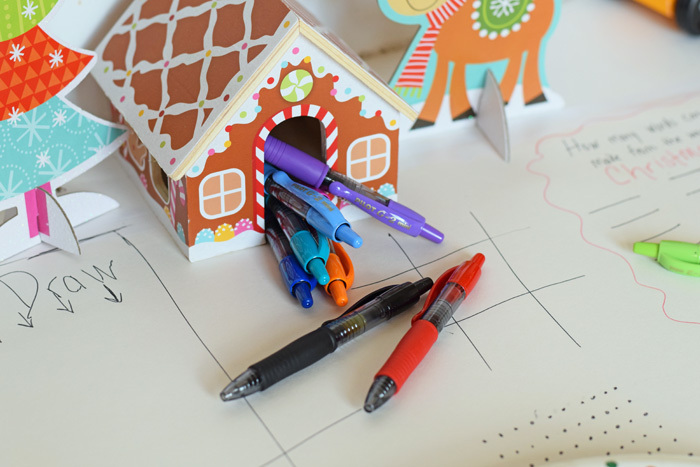 Once finished, leave the G2® Mini Assorted Pens around the table for the kids to use to complete the activities. Let’s make the kids’ table THE place to sit this holiday season! 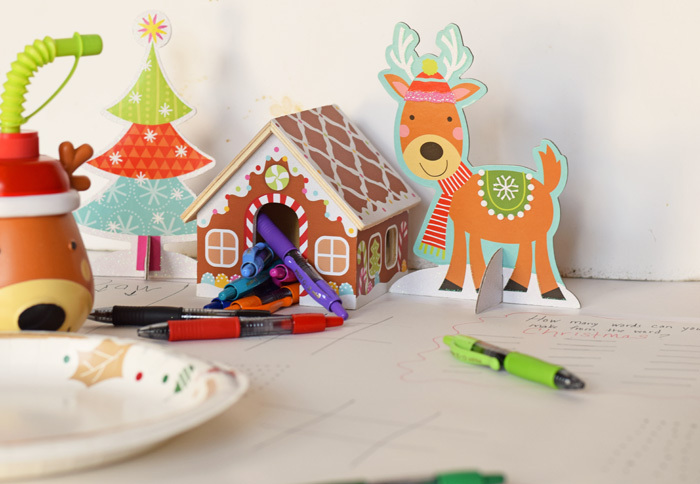 This is a fun table for the kids to keep them busy during the holidays. This is a genius idea! 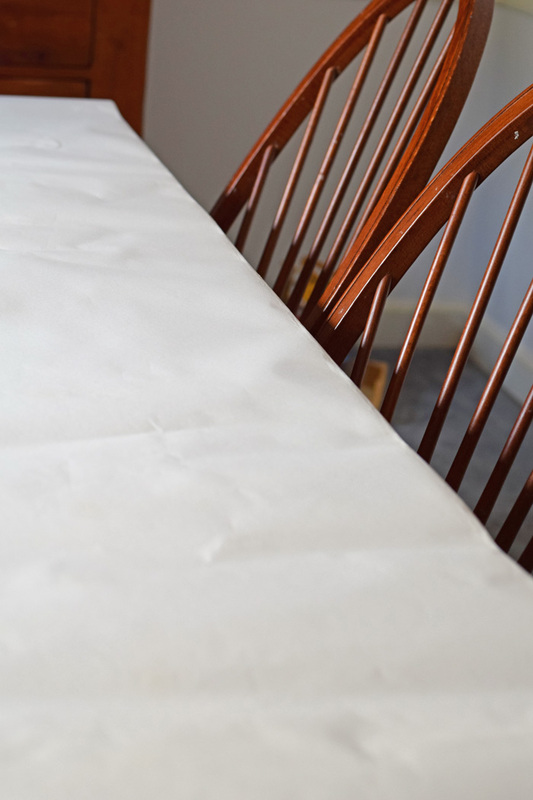 I love the idea of creating a kid’s table cloth for the holidays. Gives them something to do, keeps their minds occupied so they can stay out of trouble, and it can make for some truly wonderful memories. Don’t forget to snap a picture before and after the meal. How fun would it be to see the kid’s table cloths over the years in an album? We host a Christmas Event to help those in need. There is usually a long wait for those shopping. The activity tablecloths have been worth their weight in gold. We have even saved some over the years that have had beautiful pictures drawn on them or special messages left. My aunt did this one year and it kept the kids entertained. They have a hard time when they are done eating before the adults have even started. 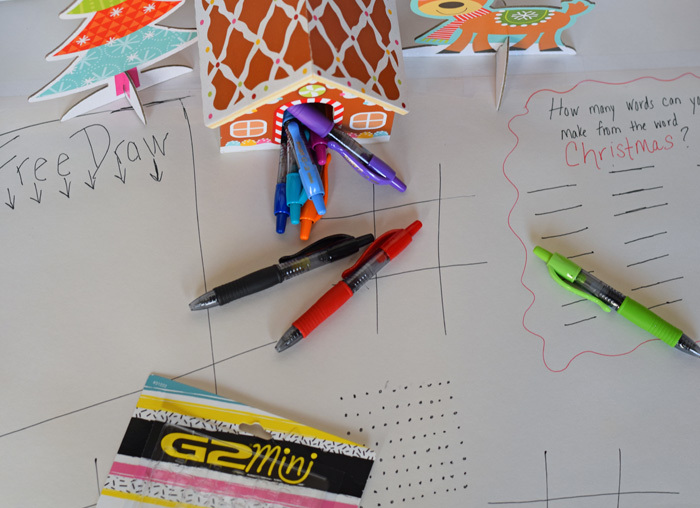 I love this idea for the kids tables at Christmas time! I think we will be doing something along the lines of this for this Christmas! We have 3 that love to doodle and draw -and then 2 older ones that would love to play games. Our dining room table is in need of some serious TLC. Since it’s not looking all that great anyway, we often cover it. This is the most fun way to cover the table & make some fun happen! What a brilliant idea! I love all the accessories and the games added on the activity table cloth. This would surely entertain the kids.